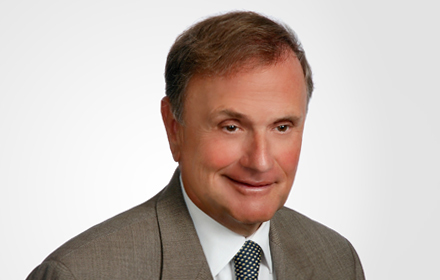 Vincent A. Cino is Chairman Emeritus of Jackson Lewis P.C. From 2012 through 2018, he was responsible for the entire firm's day-to-day administration and management. Prior to assuming the role of Chairman, he served as the firm's National Director of Litigation. Mr. Cino has vast trial experience, having litigated every conceivable type of employment action in many jurisdictions throughout the United States. From 1987 to 1990, Mr. Cino was Chief of Litigation in the Office of the Essex County Counsel. As Chief of Litigation for Essex County, Mr. Cino supervised a staff of attorneys as well as outside counsel. Prior to that, he was an Assistant Prosecutor for Union County. From 1981-1987, Mr. Cino was engaged in private practice in Hackensack, New Jersey, concentrating on civil litigation. He has personally tried more than 100 cases. In one of his more well-known trials, Mr. Cino represented WNEW-TV, Golden West Television productions, Peter Falk and Arnold Shapiro, the Oscar-winning producer of the movie “Scared Straight.” This was a libel and invasion of privacy case brought by several high school students. The trial lasted four weeks and resulted in a no-cause. Mr. Cino has served as a mediator in numerous employment law matters. Despite his prominent position as a management attorney, Mr. Cino’s mediation skills have been sought by plaintiffs’ lawyers due to his recognized reputation for fairness and objectivity. Mr. Cino’s ability to focus on the relative strengths and weaknesses of a matter as well as his view of the value of a case has led to a near perfect record of successful resolutions.